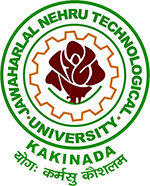 JNTUK 4-2 Sem Advanced Supply Notification: JNTUK B.Tech/B.Pharmacy 4-2 Sem (R13,R10) Advanced Supply Exam Notification May 2018 released at JNTU Kakinada Official website. JNTU Kakinada has announced B.Tech/B.Pharmacy 4-2 semester R13, R10 Advanced Supply Examination Fee Notification May 2018 at jntuk.edu.in. 4-2marks while filling the application for jobs, so please understand and release the results soon.